Michael Findley is a Political Scientist in the Department of Government at the University of Texas at Austin and Co-Director of Innovations for Peace and Development. His research and teaching address civil wars, terrorism and development. He uses field experiments, statistical and computational models and some interviews, and conducts ongoing fieldwork in Uganda, South Africa and Malawi. Findley's publications have appeared in the American Journal of Political Science, the Journal of Politics, International Studies Quarterly, the British Journal of Political Science, the Journal of Conflict Resolution, the Journal of Peace Research, Public Choice, Complexity, the Minnesota Law Review, and World Development, among others. Findley also works extensively with international development organizations. In particular, his work geocoding foreign aid has been adopted by, or developed with, the World Bank, USAID, the African Development Bank, the International Aid Transparency Initiative, and many aid recipient countries. 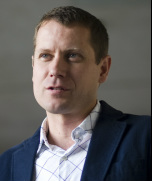 Daniel Nielson is Director of the Political Economy and Development Lab at Brigham Young University, where he is also Associate Professor of Political Science. He is a founder and principal investigator of AidData. He received his PhD in international affairs from the University of California, San Diego in 1997. He has been a visiting scholar at Duke University, the College of William and Mary, and the Centro de Investigación y Docencia Economicas (CIDE) in Mexico. He has been a principal investigator on major grants from the US National Science Foundation, the William and Flora Hewlett Foundation, and the Bill and Melinda Gates Foundation. He has also served as a consultant for the World Bank and UNICEF. He is co-editor of Delegation and Agency in International Organizations (Cambridge, 2006) and author of articles in the American Journal of Political Science, International Organization, International Studies Quarterly, Comparative Political Studies, World Development, among other journals. Jason Sharman is Professor and Deputy Director of the Centre for Governance and Public Policy at Griffith University, Australia. His research focuses on the global regulation of corruption and money laundering and tax havens, as well as empires and sovereignty. Sharman's earlier books include The Money Laundry: Regulating Criminal Finance in the Global Economy (2011), Corruption and Money Laundering: A Symbiotic Relationship (with David Chaikin, 2009) and Havens in a Storm: The Struggle For Global Tax Regulation (2006). He has worked as a consultant for the Financial Action Task Force on money laundering and the World Bank/United Nations Stolen Assets Recovery initiative.